I have no idea where it came from, but since I was a little girl, there has been a mistrust of chemicals. Well- actually- maybe it has something to do with a traumatic experience as a toddler. My older brother saw my mom mopping in the kitchen and apparently I was leaning over the bucket. He told me to lean further and then pushed my poor little head under water! Of course, my mom heard it instantly and no harm was done, but maybe in that instant I realized that chemicals are dangerous. Anyway, around high school I started making my own natural products, really easy things at first, and then branched into more and more. After more than 10 years of experience, I've found that making your own natural products not only saves encounters with chemicals but it also saves you money! That being said- there are still some things that you may prefer to buy instead of make, especially make up. But natural + organic products are extremely expensive and sometimes they stink, making it so that you *don't* get what you paid for (I paid $16 for THAT?!). That's where this series came from! 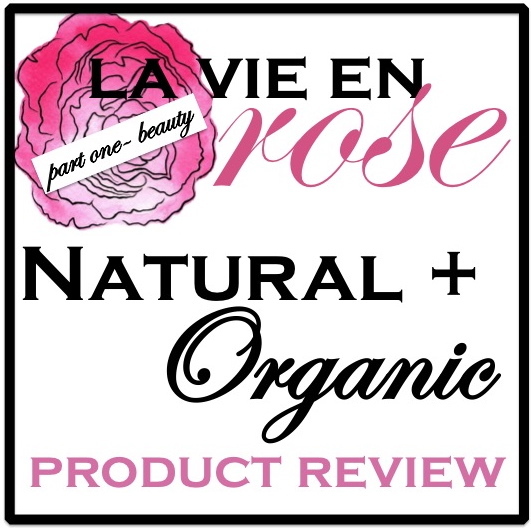 I tested tons of natural products and want to share the results with YOU! Today we're focusing on make up, tomorrow will be body products and Thursday I'll share some home products! Best: Faerie Organic's mineral foundation puts others to shame- I cannot say enough good things about this foundation. You're supposed to use a kabuki brush to buff it into the skin, but lately I've been applying it with my hands and LOVING it. It gives great coverage, doesn't irritate my skin, keeps my skin matte all day and has awesome sun protection. I've been at the pool nearly every day this summer and Faerie Organic has protected my face better than the high SPF sunscreen I've been applying to my body! Worst: Bare Minerals- I hate this stuff. I know I'm going to get a slew of people who disagree, so I will say that some people love it. I wonder, though, if maybe some of those people would recant after trying a different mineral foundation such as Faerie Organic. As far as Bare Minerals and why I dislike it, first of all- it isn't as natural as they'd like you to believe. Click that link to read about Bismuth Oxychloride and why it should be avoided. Secondly, I have combination skin and after 3 hours of wear, this powder turns into some sort of paste on my skin. It's nasty. I can't wear it. Faerie Organic again! : they have a great array of colors with good pigmentation. Long lasting + even application. Mum Mum's Crafts: This Etsy seller is wonderful! She has great prices, and again her blush applies evenly and has good pigmentation. Real Purity: This is a PRESSED (!!) blush! Which was super exciting to me. The pigmentation isn't as good as the loose, but it does look lovely on and has an evenly application. Skip: Posh Wash Soap. I purchased her mineral blush through Etsy and found it to be a waste of money. The price is so cheap, but in this instance- you get what you pay for. I can't even see the color on my cheeks due to the low pigmentation. As pale as I am, that's a huge feat. Earth's Beauty: This has a nice, dark shade and an affordable price tag. It builds well, and you will need multiple coats. One coat is a little too natural for me, but by the third coat I was feeling a little more lush. Skip: Physician's Formula Organic Wear Mascara... it stinks. It goes on way too lightly and it doesn't take well to multiple coats. The price tag is too much for the product. Good: Julep + Zoya: Julep + Zoya are very similar, neither are natural, but they do cut out dangerous toxins + chemicals. I was able to find a brand that touted themselves as the *only* natural brand of nail polish, but since I couldn't get my hands on a bottle for review in time I'll have to do an update later. Julep is more expensive than Zoya, but they do offer MAVEN BOXES which are really cool. You can sign up to be a Maven and have a box shipped to you every month (I paid one penny for my first box!) with 2 colors of polish + other fun goodies. If you want to skip a month, that's easy too! So far I've only actually gotten 2 boxes, I've skipped the rest, but both of them contained really great colors that I LOVE and am excited about using. Julep goes on so smoothly and looks incredible with a single coat. So far I'm loving Sienna, Oscar + Drew as my favorite shades. Skip: NYC, Wet + Wild. Both of these brands offer some reduced toxin/chemical versions of nail polish, but I disliked them. Neither go on well or last very long. They didn't dry well (took forEVER) and when I tried to use them for pretty manicures, the tape ripped the color off of my nails. Boo. Best: Burts Bee's Tinted Lip Balm. Oh my word. I have a serious addiction to this balm. I own three colors: rose, hibiscus + dahlia. And I adore them all. When I first got this balm I was disappointed at the lack of color, but after several applications the color intensified. I think you just need to work through the manufacturing seal, but once you do the color is GORGEOUS. I never leave home without at least one of my tubes. The color is beautiful and it can be applied without a mirror. Skip: Tarte Lipsurgence. This has amazing lasting power + color, but it is *extremely* drying, despite what they try to say. Also, Tarte is not as natural as they claim- not even *close*. I'll talk more about that below. My favorite pencil liner was BENECOS. It comes in a lovely array of colors and goes on SO smoothly- no tugging at all, plus the price is good! The only downside is that if you rub your eyes, the pencil will smudge, which is great for a smokey look, but not so great if you have an itchy eye. Best: Lavera. 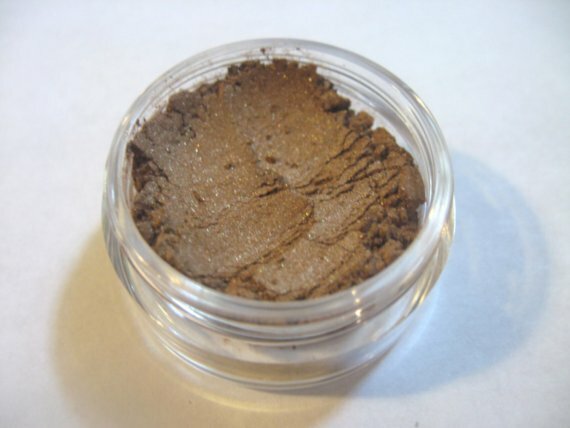 I tried a gorgeous chocolate brown shade that was nicely pigmented and went on smoothly. The thing I like about Lavera's eye shadow is that it comes pressed instead of powdered. It seems like powdered products are a dime per dozen with natural beauty products, but pressed are hard to find. I prefer pressed for eye shadow because it is *so* much easier to control and apply correctly. Using powdered shadows always leaves tons of fall out underneath my eyes and on top of my cheeks. Blah. Best: Mum Mum's Crafts! While I would much prefer a pressed bronzer, I love Mum Mum's Crafts 3-in one mineral make up in beach bronze. It goes on smoothly, has great color and can be used as a bronzer, eye color OR lip color (by patting into lips after applying balm). I have reordered this and even asked the shop owner, Lucy, to start carrying it in a larger jar size! Skip: I feel bad because of all the brands I reviewed, Posh Wash Soap was the only one I *really* disliked. But again- the bronzer was awful. I ordered the medium shade and even on my translucent skin, it doesn't make a difference. The only noticeable part is the extreme shimmer, which I wouldn't want on my face anyway. This is almost sparkly? It may work for the eyes, but not as a bronzer. Faerie Organic's bronzer is also a skip, which comes off too sparkly as well and doesn't go on smoothly. That's a major negative in bronzer + blush. Allnaturalcosmetics.com: this is my FAVORITE! They allow you to purchase samples of nearly everything they sell, which is brilliant. Organic + natural cosmetics are expensive, so it would be nice to try a few samples, decide what you like best and then place an order for the full size product. They carry a myriad of products, too, including nearly everything I posted about. I also like lovetruenaturals.com. They carry Benecos + Lavera, two of my favorite brands, and have good deals + coupons. They also have a great clearance section where you can get products for a much reduced rate that have undergone a new packaging or are nearing their expiration date. 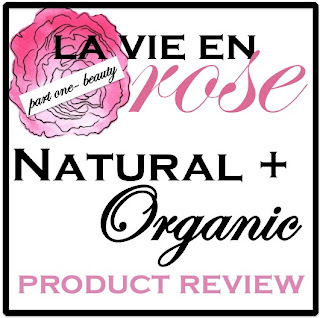 What's your favorite natural or organic beauty product? While I tested a lot- there are SO many to choose from and we'd all benefit from YOUR opinion! Tomorrow we'll be delving into the world of shampoo, sunscreen, lotion and more! So I'll see you there. All the best and as always, thanks for reading. Very interesting! Thank you for sharing, I have three daughters who may be interested in these products as I am! Now, on to experimenting! I have never given a thought to natural makeup. I don't wear a whole lot of it so maybe that's why. This post has me re-thinking it for sure. Thank you for your review. I'll be checking out Faerie Organic for sure! That is awesome, Becky! I'm *so* glad it inspired you to consider the risks! Faerie Organic is awesome for foundation + blush, but steer clear of their tinted moisturizer- I'm going to talk about it tomorrow. It is so gross! I used the L'Oreal mineral foundation for years and recently switched to Bare Minerals. Neither of them are AMAZING, but I just bought a sample pack of the Faerie Organic's mineral foundation and hope I love it as much as you do! Thank you for sharing!